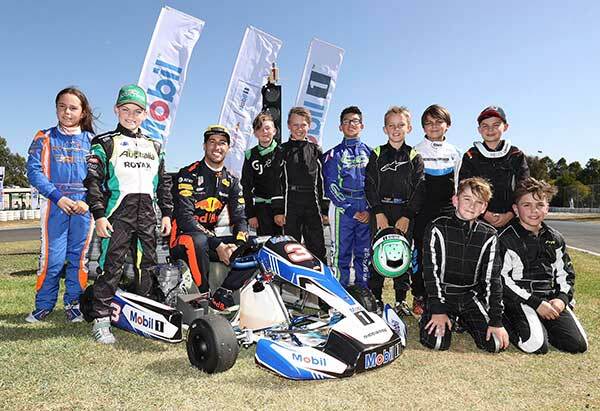 In the lead up to this weekend’s Australian Grand Prix in Melbourne, Mobil Australia held an exclusive event at the Todd Rd kart circuit with Aston Martin Red Bull Racing’s Daniel Ricciardo and Australia’s 2018 Grid Kids to help inspire the next generation of local racing champions. The event included a press conference with a difference. 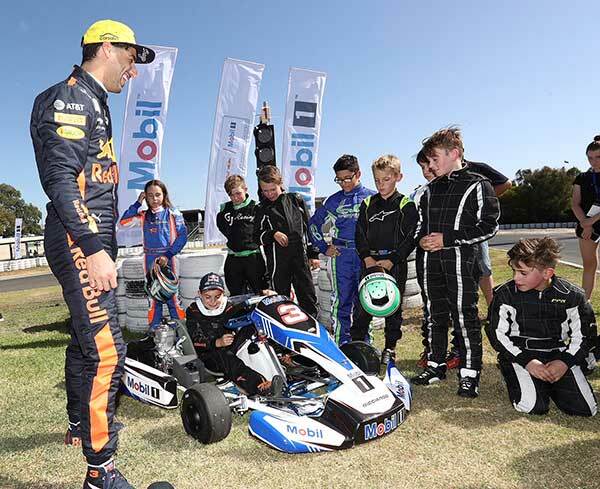 Hosted by Cameron McConville, Ricciardo was put through a kids-only grilling from some of Australia’s top young karters. Dan opened by sharing his goals and aspirations for the season, talked to the Grid Kids about the teamwork aspect of performance driving and the importance of everyone and everything being of the very best quality – from what fuels the body and the car, to design and engineering, technology innovation and most importantly the right team and partners. The Q&A included discussing the science behind Mobil 1 and Mobil samples and opened young minds to the full range of career opportunities for talented, driven young people. The Grid Kids also participated in a time challenge race against Ricciardo. 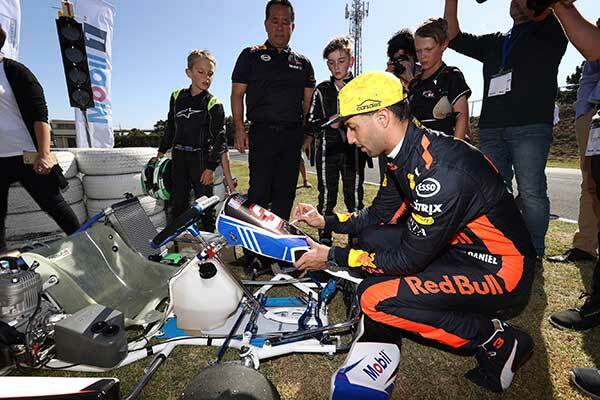 The day closed with a surprise – ten year old Cadel Ambrose, who recorded the fastest lap time out of all the Grid Kid’s on the day (just 1000th of a second ahead of his nearest rival) was handed the (almost) brand new Ricciardo Kart that Daniel had just raced in the time challenge. “It’s been cool!” Ricciardo said. “The kids have been great, their questions were pretty challenging but their energy is infectious so it’s been a lot of fun. “Being able to spend some time with them and hopefully help to inspire their next steps in karting, or whatever they choose to do in the future, is really great. It’s now a special Signature Edition Ricciardo Kart! “When I was their age I had no real idea about sponsorship or the importance of having the right people and partners around you to support your on-track performance, so I’m grateful to Mobil for giving me the chance to share some of what I’ve learnt through the years with the young guys and girls coming through”.